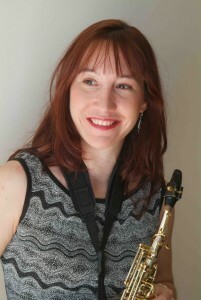 Australian saxophonist-composer, Katia Beaugeais, will present her new saxophone concerto ‘Terra Obscura’, in reference to her Doctorate research about the dual role of a composer-performer. – For solo saxophone & chamber orchestra (4 Movts – 34 minutes). On the 6th of September 2014, I performed the premiere of my saxophone concerto, Terra Obscura, with the Sydney Conservatorium’s Chamber Orchestra. It was composed for the Sydney Conservatorium Centenary Commissioning project and broadcast on ABC Classic FM (Australia’s classical radio station). It is inspired by the excavation and rebuilding of the Conservatorium. In reference to specific passages of the Sydney Conservatorium’s film of my performance of ‘Terra Obscura’, I will discuss the intuitive and stylistic decisions made during the compositional process. This presentation will identify a correlation between performer gesture and the musical score of Terra Obscura. Of particular focus is to understand how gesture has affected and influenced the creative process of this saxophone concerto from a performance and compositional context. To what extent my performance background and extended knowledge of the saxophone influences my compositional style when composing for my own instrument compared to non-familiar instrumentation will also be discussed. Gesture is an integral part of the performance and composition process and takes on various roles in Terra Obscura. With reference to recent literature such as Cadoz, Wanderley, Vine, Camurri, King, Ginsborg, as well as Delalande’s proposed notion of effective and figurative gesture, how gesture contributes to the overall creation of this saxophone concerto on a visual, communicative and compositional level will be analysed. Specific passages from the Sydney Conservatorium’s video recording of Terra Obscura with score extracts will be shown.